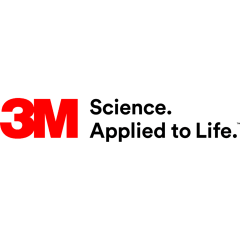 Science-based technology company 3M and premium manufacturer Scott Safety will exhibit as one at this year’s Safety & Health Expo. The companies will host a joint stand – number M220 – at the event, which runs from 19 to 21 June at the ExCeL London exhibition centre in east London. It comes after 3M acquired Scott Safety in 2017, expanding 3M’s range of personal protective equipment (PPE) to include self-contained breathing apparatus (SCBA) systems and gas and flame detection instruments, among other innovative devices. At the exhibition stand, 3M will display its wide PPE portfolio, including these new devices and the company’s pre-existing offering, with experts on hand to answer visitors’ questions. Steve Crouchley, senior marketer for the 3M Personal Safety division, said: “We’re excited that 3M and Scott Safety will be exhibiting as one at this year’s Safety & Health Expo, allowing us to showcase our newly expanded offering.